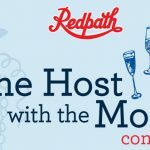 10 Easy & Inexpensive Gift Ideas — Deals from SaveaLoonie! The holidays are hectic – and expensive. Especially if you have a long list of people to buy for. I’ve been on the look out for inexpensive & easy holiday gift ideas. 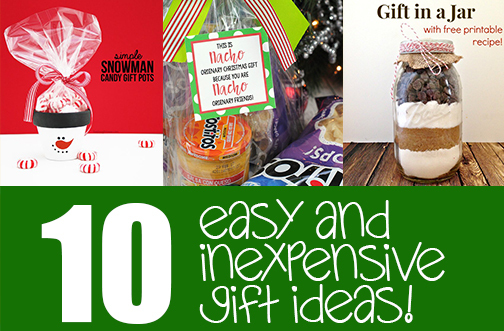 These gift can be put together for around $10, mostly with things found at the dollar store! These gifts are perfect for teachers, last minute hostess gifts, co-workers, etc. So make a list, check it twice and start getting a head start on your holidays! 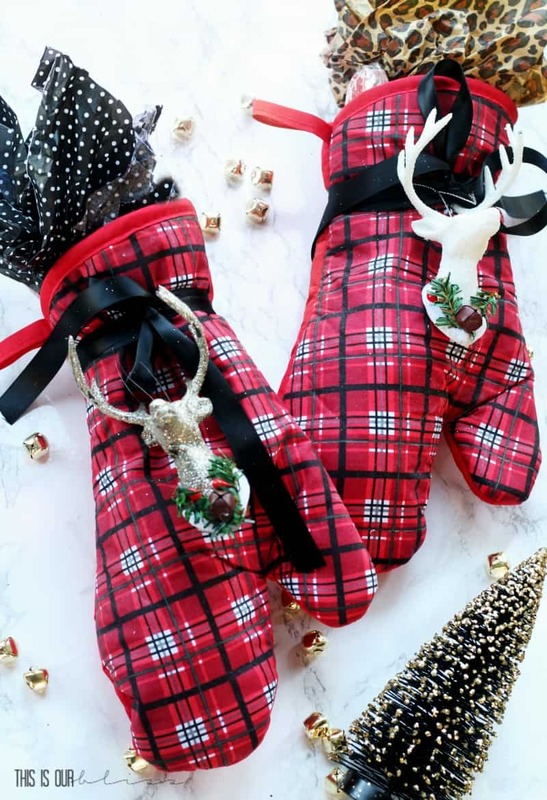 Grab some festive oven mitts and some kitchen tools from the dollar store. Stuff the top with tissue paper, it with a ribbon and top it off with a cute ornament. 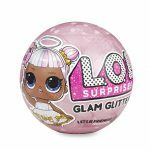 Voila – instant gift! 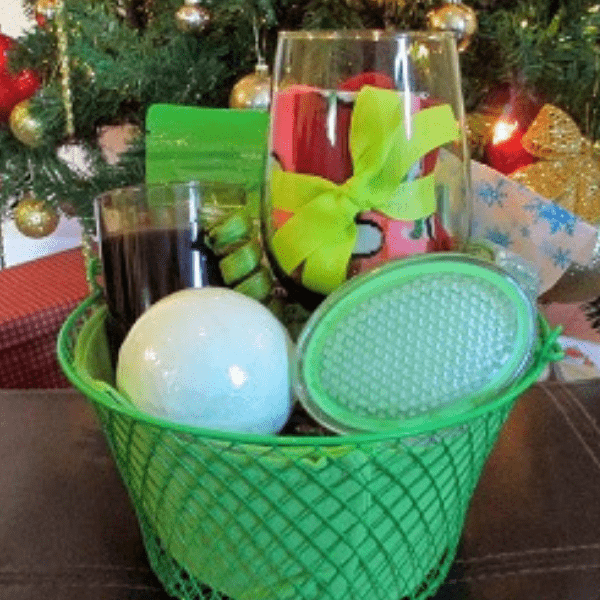 A cute basket, nail polish and a few basic pedicure supplies are all you need to put this fun & function gift together. Add a wine glass & candle for an added touch. 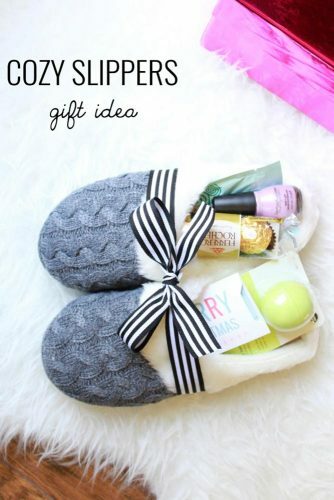 I love this simple and festive gift idea! 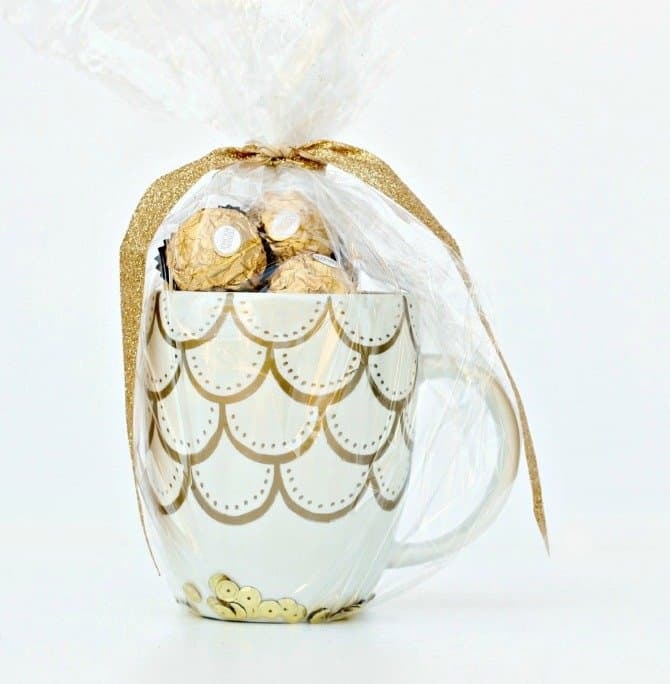 Pick up a basic white mug at the dollar store and use a gold Sharpie marker to add a design. Be creative – add your own personal flair or customize it to the recipients taste. Don’t forget to add in a few packs of Ferrero Rocher chocolates and coffee singles! Everyone loves fresh homemade chocolate chip cookies! 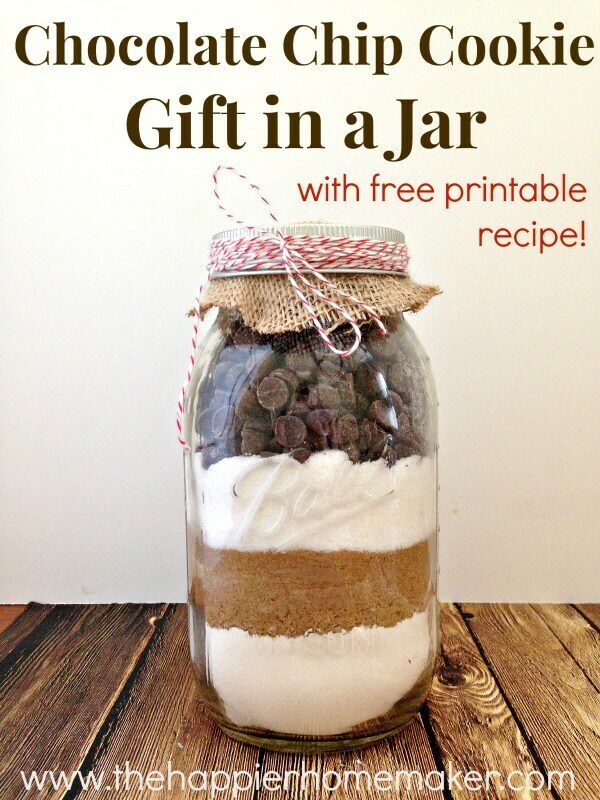 Layer ingredients in a large Mason Jar, top with burlap and string for a Pinterest-perfect present. A delightful little gift idea! 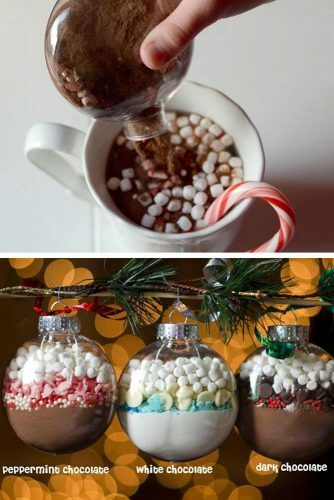 Fill a clear ornament with hot cocoa powder, candies & mini marshmallows. Use different cocoa & candy combinations to create a variety of ornaments. These are so stinking adorable! 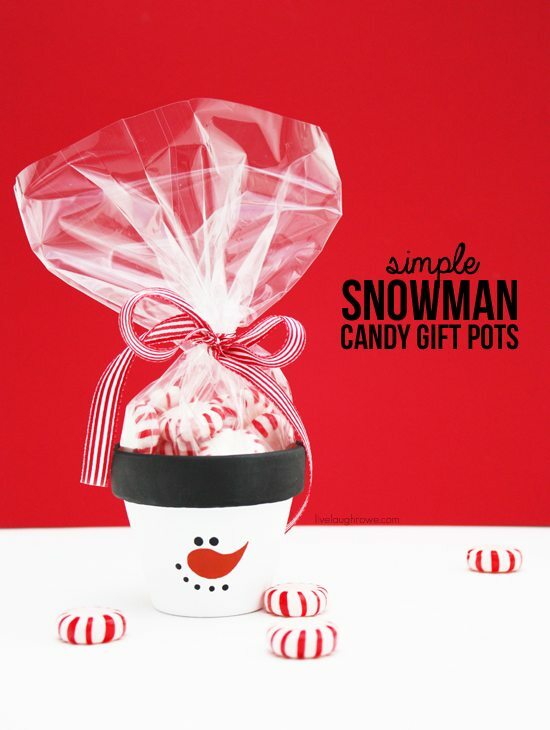 With a little paint, you can turn a simple terra cotta pot into a sweet snowman candy pot! What a fun gift! 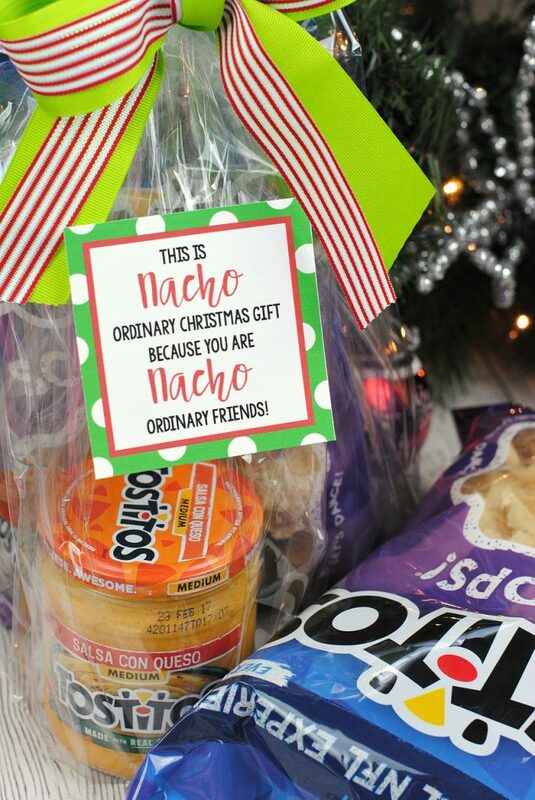 Perfect for the friend or neighbour that would appreciate the humor – and snacks! In the cold winter months, a cozy pair of slippers is almost always appreciated. And it is even better when its stuffed with treats and comfort items. 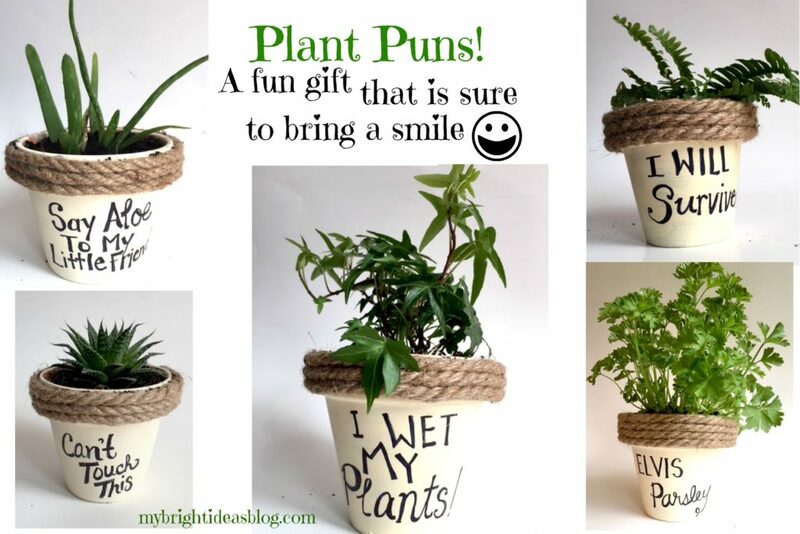 These pun-y little presents are sure to bring a smile to anyone’s face! An especially awesome gift for a co-worker to brighten their work space and their days ahead! 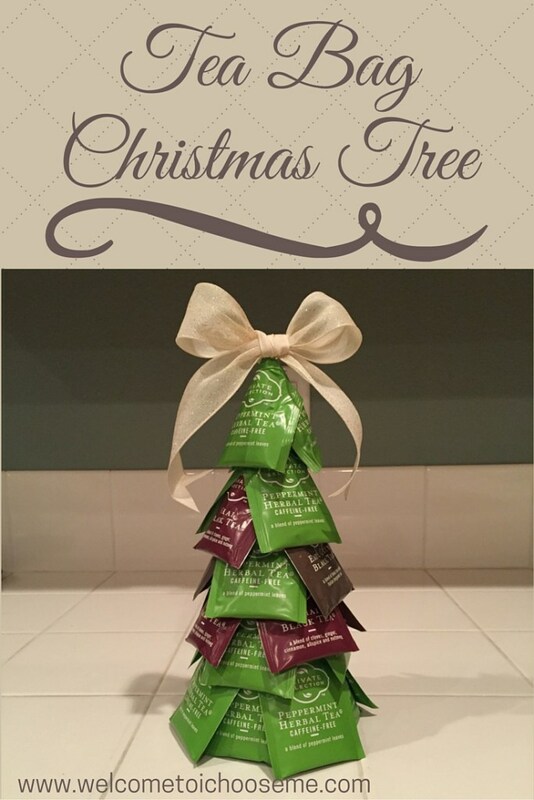 Tea lovers will delight in this decor turned drink Tea Bag Christmas Tree. It takes 2 minutes to put together and all you need is some tea, a Styrofoam cone (or something similar) and hot glue!